The Pikes Peak Hill Climb is a unique spectacle, with real danger lurking at every turn. From the trees lining the road at the lower levels, to the photogenic yet incredibly dangerous sheer drops without guard rails, the famous hill climb is a test of man and machine. 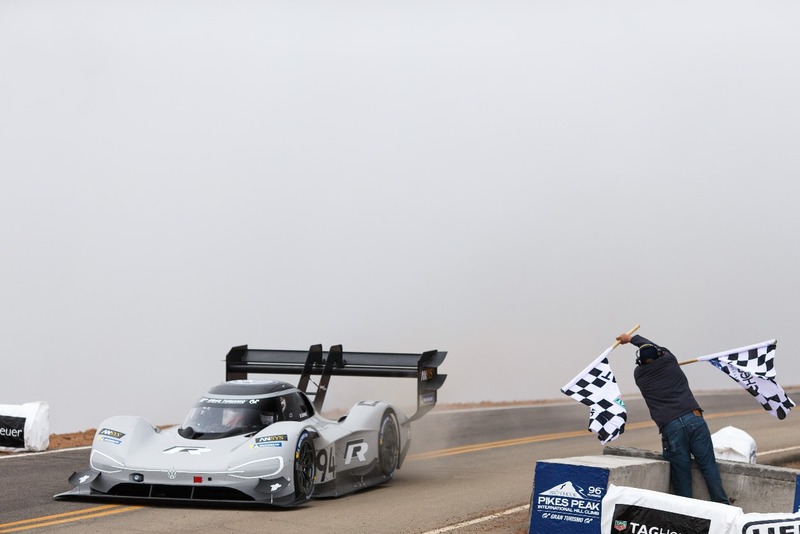 For air and fuel burning combustion engine vehicles competing at Pikes Peak, the thin air at altitude creates an engineering challenge, which plays havoc on engines ability to maintain safe operation and maximum operating efficiency. The thin air also creates aerodynamic challenges for every car tackling the mountain. For Volkswagen and the incredible one off I.D R PIKES PEAK record setting vehicle, the thin air wasn’t a consideration for the all-electric motor, and with experienced racer Romain Dumas behind the wheel, the I.D R PIKES PEAK eerily quietly snaked its way up the 156 turn hill climb at astonishing speed, in the process smashing the previous outright record set by Sébastien Loeb’s one off Peugeot 208 T16 by 16 seconds with a 7m 57.148s. This record breaking vehicle and record attempt wasn’t years in the making either. The entire project, from conception to the record breaking run, was a mere 250 days, pulled off by a dedicated team at Volkswagen. Mechanics, engineers and employees all came together with a clear focus and goal to build this special vehicle. The I.D R PIKES PEAK was designed specifically to tackle the Pikes Peak Hill Climb, with a design brief to have the minimum weight, as much downforce as possible, and maximum power. The I.D. R Pikes Peak’s E-engines, together generate 500 kW (680 PS) and a mountain load (pardon the pun) of torque. Including its battery cells, the I.D. R Pikes Peak weighs less than 1,100 kilograms. The acceleration results are staggering. 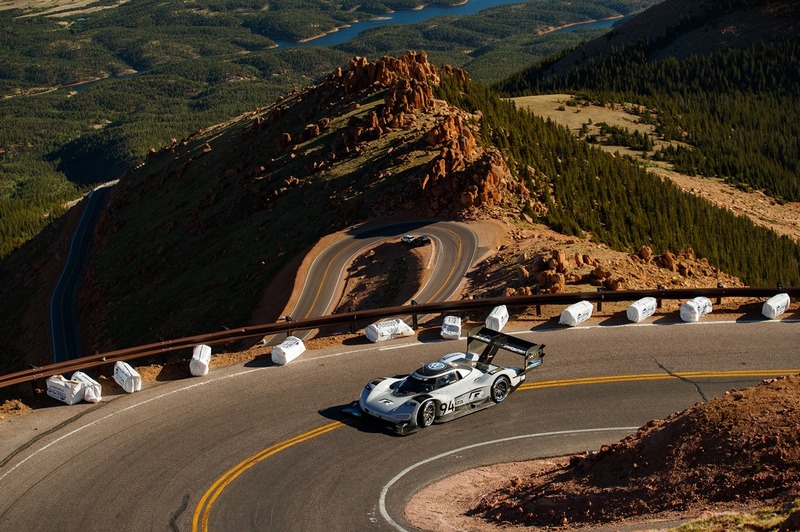 Volkswagen employed simulation software to calculate how to achieve the optimum in energy demand and performance for the record attempt on Pikes Peak. The flat, streamlined chassis and huge rear wing were designed to compensate for the loss of downforce caused by the thin air high on the mountain. Charging technology was another area that required new thinking, with event regulations stipulating that if the race had to be suspended, it must be possible to completely charge the car in under 20 minutes. At the same time, Volkswagen wanted to accomplish this with the minimum environmental impact. With a high tech charging system designed, the electricity required was provided by generators at the foot of Pikes Peak. Glycerol, which in chemical terms is a sugar alcohol, was selected as the fuel. A by-product of the manufacture of biodiesel, for example, Glycerol combusts with virtually no harmful exhaust fumes or residues. Glycerol itself is non-toxic and is even permitted as an additive in the food and cosmetics industries. With seemingly every box ticked by the Volkswagen team, it was only the record itself that needed to be beaten. For the I.D R PIKES PEAK to then beat the previous outright record set only a couple of years earlier by manufacturer Peugeot with 7 times World Rally Champion Sebastian Loeb behind the wheel of a one off 208 T16 was simply an incredible accomplishment. “It was a fantastic day for Volkswagen and one, of which we are very proud. The I.D. 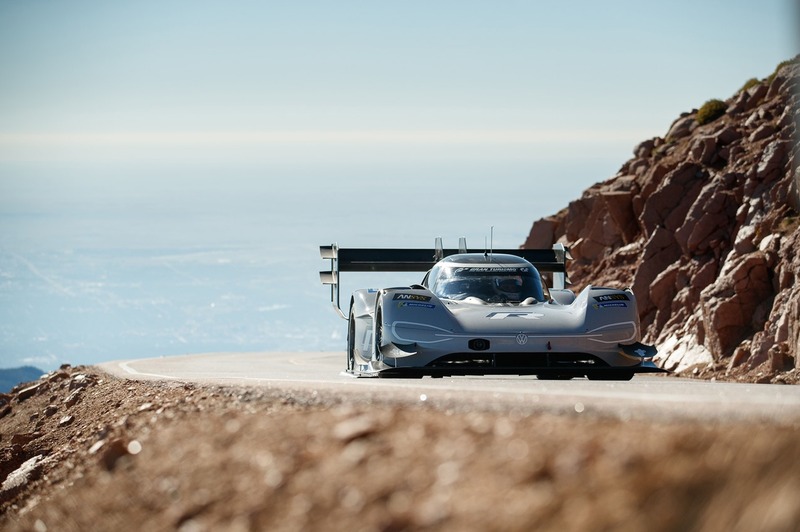 R Pikes Peak is the most innovative and complex car ever developed by Volkswagen Motorsport. Every employee involved in the Pikes Peak project has constantly had to push their boundaries and show extreme commitment and dedication. Without this, it would not have been possible to repeatedly overcome new challenges and come up with new solutions.” Sven Smeets, Volkswagen Motorsport Director. ATE Australia. Supported by ATE Germany. Part of the Continental Group. Proudly distributed by hsy autoparts.